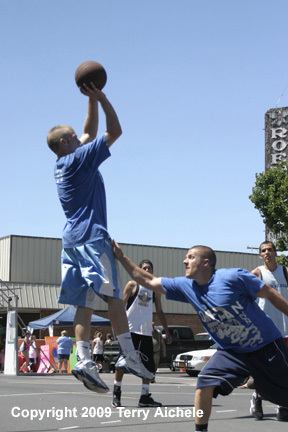 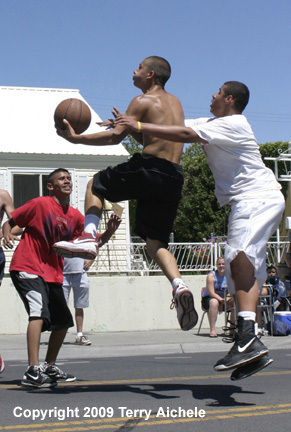 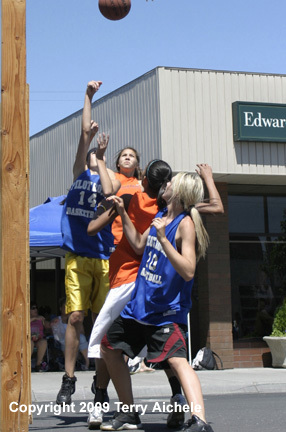 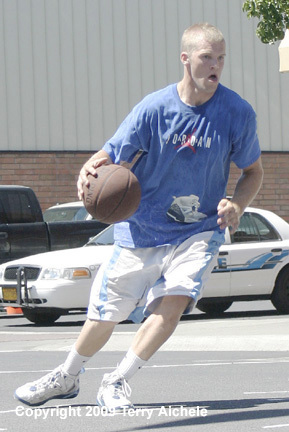 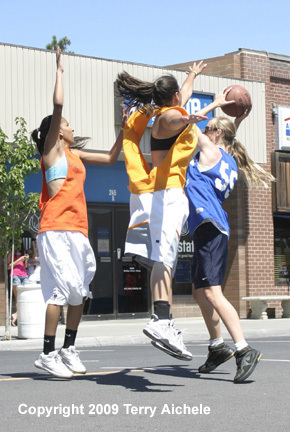 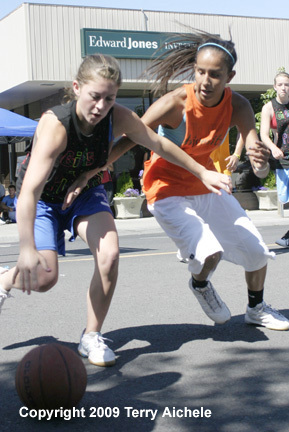 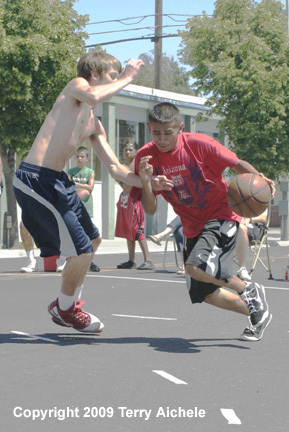 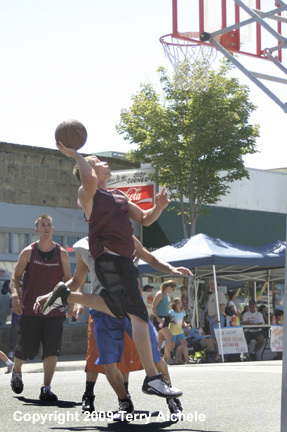 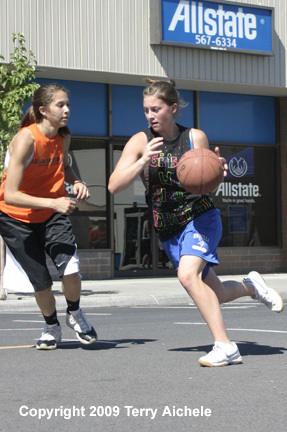 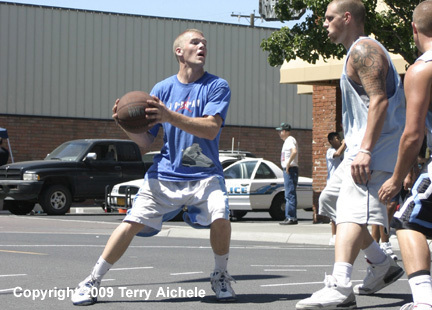 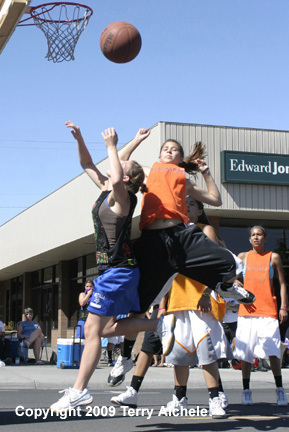 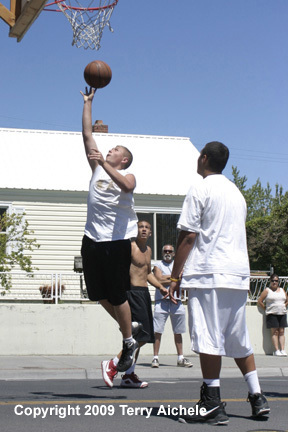 HERMISTON - The Hermiston 3 On 3 Takin' It To The Streets basketball tournament took over Hermiston's Main Street over the weekend of July 18-19, 2009. 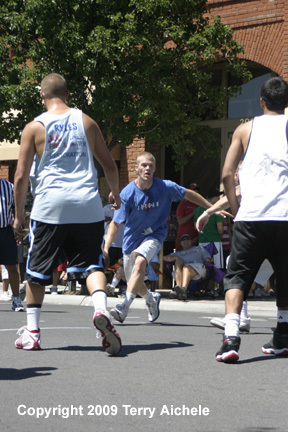 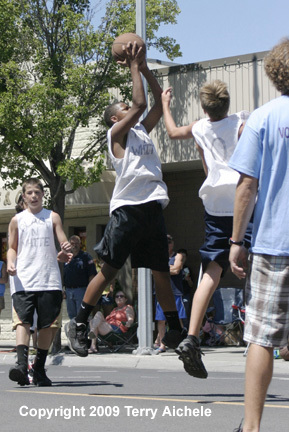 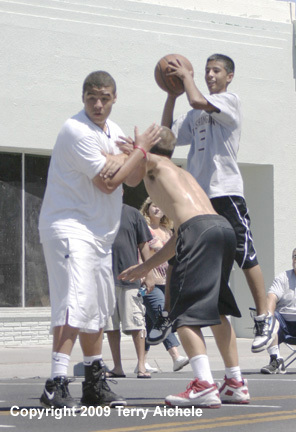 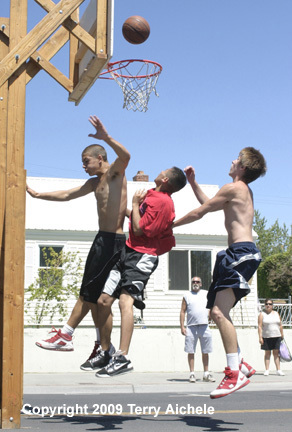 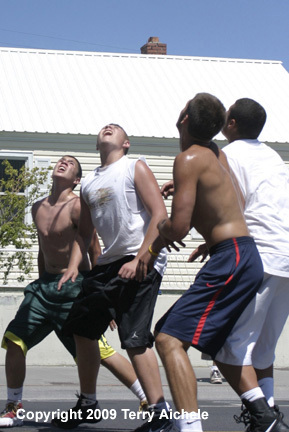 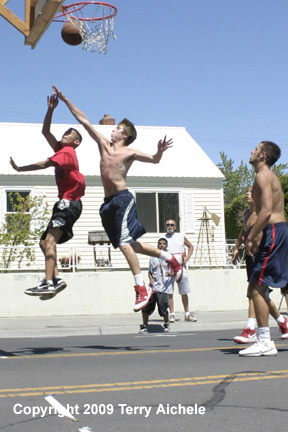 The weekend had teams from grade school age through adults challenge each other in street hoops. 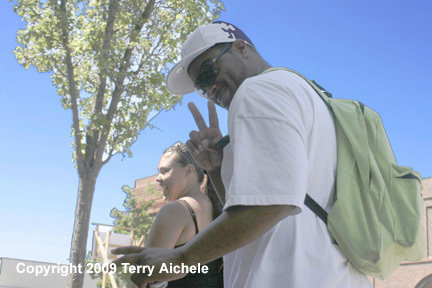 It was hot both days with temperatures in the high 90's and low 100's. 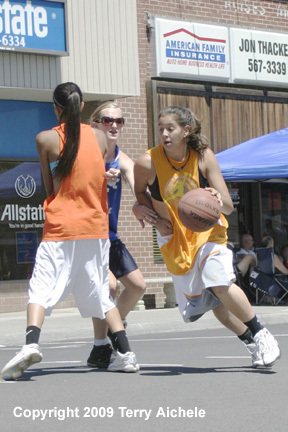 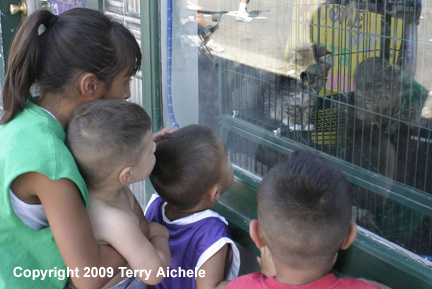 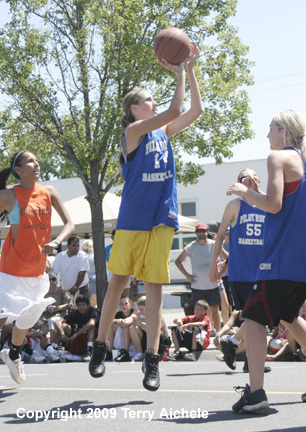 Shoni Schimmel, her sister Jude and cousin Samantha competed in the 11th and 12th grade division. 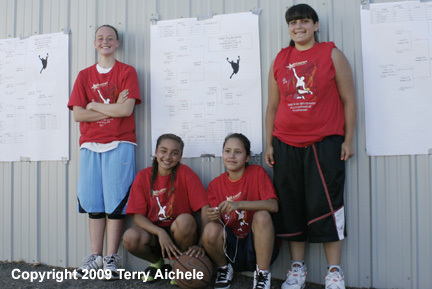 Defeating Girls Who Play Basketball team from Umatilla by a score of 20-8. 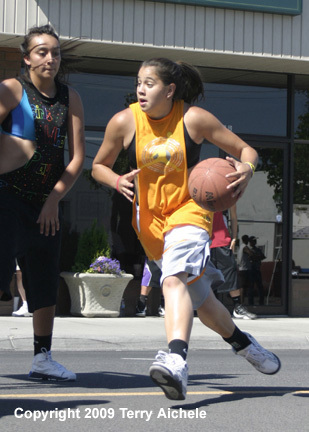 The Phoenix Suns of Yakima, an 8th grade team, won their division.